Is STEM promoted at the expense of the Arts? Jump to media player Is there enough support for students training in performing arts or is all the emphasis on STEM subjects? Tor Bank school reporters explore "emotional well-being" Jump to media player Pupils from Tor Bank School in Dundonald, County Down, reveal their emotional "five-a-day". Crossmaglen pupils raise border concerns Jump to media player School reporters from St Joseph's High School Crossmaglen raise concerns about the possibility of a border between Northern Ireland and the Republic of Ireland. Are STEM subjects promoted at the expense of the Arts? Is there enough support for students training in performing arts or is all the emphasis on STEM subjects? Pupils from Sullivan Upper School investigate. 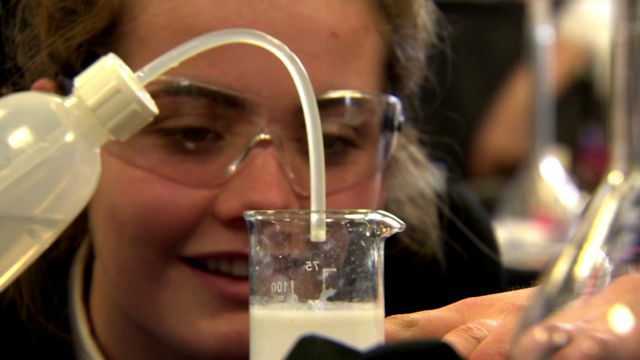 This report was produced for BBC News School Report. You can find more School Report stories produced by young people in Northern Ireland here. Go to next video: Tor Bank school reporters explore "emotional well-being"